Located within the Department of Energy (DOE), the Office of Health, Safety and Security (HSS) is responsible for overseeing worker safety and security matters at nuclear weapons facilities located across the country. The HSS has been the subject of much controversy since its very beginning when DOE leaders decided to eliminate the previous office handling worker safety—the Office of Environment, Safety and Health—and turn those duties over to the newly formed HSS, which is led by a longtime security chief. Critics contended the move was in deference to protecting large private contractors at the expense of workers’ safety. Complaints of safety violations at nuclear weapons sites have continued to arise despite HSS’s commitment to protect workers. During the Cold War with the Soviet Union, the United States entrusted the production of its nuclear weapons to the federal department in charge of energy policy. First it was the Atomic Energy Commission (AEC) from the late 1940s to the early 1970s, then briefly the Energy Research and Development Administration and finally the Department of Energy (DOE) from 1977 until the present. At its height, the nation’s nuclear weapons complex consisted of 16 major facilities and dozens of smaller ones spread out across the country that conducted research and development (R&D), produced nuclear fuel and assembled warheads. AEC/DOE’s top priority was to build more and more weapons, including those with increasing destructive capability, as the U.S. sought to maintain numerical superiority in the arms race against the Soviet Union. With production of weapons the overriding objective, energy officials paid less attention to safeguards protecting the environment and employees. This became abundantly clear as the Cold War came to a close and investigations were conducted into the management of defense nuclear facilities by U.S. energy officials. A 1994 report (pdf) by the Congressional Budget Office (CBO) said the DOE was faced with the disposing of 100 million gallons of highly radioactive waste spread out across the country among different facilities. The price tag for clean up was estimated at more than $100 billion. A few locations in particular—Hanford (Washington), Oak Ridge (Tennessee), Savannah River (South Carolina) and Rocky Flats (Colorado)—received considerable media coverage for serious contamination involving uranium, plutonium, and various heavy metals. Coupled with these revelations were the earlier accidents at nuclear power plants at Three Mile Island in Pennsylvania and Chernobyl in the Ukraine, which elevated public concerns over nuclear safety. A National Research Council study in 1987 examined the conditions with nuclear reactors at Savannah River and Hanford in the wake of Chernobyl and found that DOE officials had relied almost exclusively on private contractors to identify safety concerns instead of using DOE experts, resulting in failures to adequately address technical mishaps. Another investigation by the Senate Governmental Affairs Committee found that energy officials had failed to sufficiently address radiation exposure among workers at Hanford, Savannah River, Oak Ridge, and Rocky Flats. The DOE had created the Office of Environment, Safety and Health (ESH) in 1985 to provide better oversight for the dangerous work being performed at nuclear weapons facilities. In addition to making sure regulations by the Occupational Safety & Health Administration (OSHA) were followed, the ESH conducted health studies and medical screening programs for workers and surrounding communities exposed to ionizing radiation and other hazardous materials used in DOE operations. The office also issued environmental impact statements related to agency activities. The DOE also had a poor record when it came to protecting nuclear secrets from espionage attempts. In the 1940s and early 1950s, two major espionage scandals rocked the country. Julius and Ethel Rosenberg were executed for giving the Soviets classified documents from the Manhattan Project, the nation’s top-secret project that produced the first atom bombs. Another breach in security involved Klaus Fuchs, a German-born physicist who worked on the Manhattan Project, who gave nuclear secrets to the Soviet Union during World War II. Although other cases of espionage would occur during the Cold War, none directly involved scientists working for the nuclear weapons complex. Then in the mid-1990s, scandal arose again, this time involving China. An investigation by the House Select Committee on US Nuclear Security and Military/Commercial Concerns with the People’s Republic of China, chaired by Christopher Cox (R-California), found that China had developed a number of key warheads based on U.S. designs, although the committee was unable to prove that this information was acquired through espionage. This report reaffirmed suspicions by American defense and intelligence officials who had warned since the late 1970s that Chinese spies were trying to infiltrate American laboratories. Meanwhile, the FBI began an investigation, code-named “Kindred Spirit,” of persons who had access to American nuclear warhead information. This led to the much-publicized arrest and trial of Wen Ho Lee, a computer scientist at Los Alamos National Laboratory (LANL) in 1999. The Taiwanese-born Lee had been an employee at LANL for 21 years when he was arrested by the FBI, charged with not properly securing classified materials and failing to report meetings with individuals from “sensitive” countries and held for a year. Some observers maintained that Lee was a scapegoat, and some Asian-Americans charged that his arrest was motivated by racism. At his trial in September 2000, Lee was convicted on only one of the charges against him—illegally gathering and retaining national security data. The court released him on time served and ordered him to undergo 60 hours of government debriefing. Although the Wen Ho Lee scandal garnered a great deal of public attention, the most damaging news about the state of America’s nuclear weapons laboratories came from a report by a White House blue-ribbon panel during the Bill Clinton presidency. The President’s Foreign Intelligence Advisory Board issued “Science at its Best, Security at its Worst” in June 1999—the first time in its 35-year history that the board had ever issued a public report. The findings were damning. The ESH, however, lacked “teeth” when it came to clamping down on private companies for allowing worker safety violations to occur. So in 2002 bipartisan legislation sponsored by Senators Edward Kennedy (D-Massachusetts) and Jim Bunning (R-Kentucky) was passed to give the ESH the authority to enforce health and safety standards against private contractors who had been hired by DOE to clean up the plants. The legislation required DOE to craft tough new regulations, but the first two attempts in 2003 and then 2005 were filled with loopholes. Finally, in early 2006, under the leadership of DOE Assistant Secretary John Shaw, who was in charge of ESH, regulations were adopted that for the first time gave energy officials the ability to fine contractors (up to $70,000 per violation) for safety failures involving toxic exposures in the workplace. In some areas, the regulations were even tougher than those required by the Occupational Safety and Health Administration (OSHA). But the ESH never got the chance to use these new enforcement powers. First, Shaw was forced to resign, apparently in response to pushing through the tougher regulations. Then in summer 2006 Energy Secretary Samuel Bodman announced that the ESH would be disbanded and its duties merged with the Office of Security and Safety Performance Assurance. The DOE justified the move by saying the ESH had been largely ineffective in securing worker safety and that by merging it with the security office, DOE health inspectors would have more clout when investigating incidents at weapons facilities. Others, however, saw the move as a way to protect industry from the new regulations. The ESH had had a reputation for slowing down work at nuclear weapons facilities when its inspectors found problems with tasks being performed. Opposition was also voiced by the governors of New Mexico and Washington, the United Steelworkers union, the AFL-CIO’s Building and Construction Trades Department, Congressmen Bart Stupak (D-Michigan), Ted Strickland (D-Ohio) and John Dingel (D-Michigan), and Senators Kennedy, Maria Cantwell (D-Washington), Jeff Bingaman (D-New Mexico), Harry Reid (D-Nevada), and Patty Murray (D-Washington). All feared that the health and safety functions of the ESH would be lost in a new office primarily concerned with security. In spite of the protests, the DOE went ahead with its plan and created a new department—the Office of Health, Safety and Security—in 2006 that combined the duties of the ESH and the security office. Unlike the ESH, which was led by an assistant secretary who was appointed by the President, this new office was headed by a career DOE officer whose background was in security and intelligence. Some critics saw this as yet another indication of DOE’s attempt to downgrade the importance of worker safety. 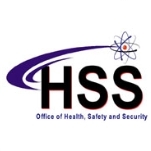 Located within the Department of Energy, the Office of Health, Safety and Security (HSS) is responsible for overseeing worker safety and security matters at nuclear weapons facilities located across the country. Of the two missions, security appears to be more important. Based on the organizational structure of office, security operations report directly to its chief, while worker safety offices report to its deputy chief. It should also be noted that the current chief of the HSS, Glenn Podonsky, ran DOE’s former security unit—the Office of Security and Safety Performance Assurance—before it was merged with the Office of Environment, Safety and Health to create HSS. Office of Security Operations provides physical, technical and information security for all DOE facilities in Washington D.C. and the surrounding area. It maintains the DOE database for personnel security and clearance processing activities; manages the headquarters personnel security programs and the administrative review process; administers the Security Enforcement Program related to classified information violations; provides DOE executive protection services; and oversees departmental personnel security which implements the HSS drug testing program. Office of Health and Safety handles much what the old ESH department was responsible for, including protecting workers at nuclear weapons facilities from hazards, conducting health studies, implementing medical surveillance and screening programs for current and former workers and supporting the Department of Labor in implementation of the Energy Employees Occupational Illness Compensation Program Act. Office of Nuclear Safety establishes nuclear safety and environmental protection requirements related to the hazards associated with nuclear operations. Office of Corporate Safety Analysis examines the performance of contractor companies running nuclear weapons facilities in following safety procedures and regulations. Office of Security Policy functions as the central source within DOE for the development and analysis of safeguards and security policies and standards affecting nuclear weapons facilities, nuclear materials, personnel and classified information. Office of Security provides security expertise to assist HSS headquarters and field elements in planning site protection strategies. It also coordinates with domestic authorities to provide safeguards and security technical assistance, technical systems support and new technology development, and deployment opportunities. Office of Classification is responsible for classifying and de-classifying nuclear weapons-related technology and information. It also manages DOE programs to control unclassified but sensitive information. Office of Environmental Protection, Sustainability Support & Corporate Safety Analysis has responsibilities that include overseeing an occurrence processing system, an accident and injury database, and a radiation exposure monitoring system. Office of Enforcement and Oversight oversees the Independent Oversight Program and the Safety and Security Enforcement Program. Office of Sustainability Support handles corporate technical assistance, coordination, and integration resource. Office of Worker Safety and Health Assistance oversees health and safety issues. Office of Security Assistance Program enhances site security programs. Office of Technical Guidance has two program areas: weapons and technology. It provides technical guidance to ensure that classified nuclear weapons-related information is identified for proper protection. Office of International Health Studies provides new information about the human response to ionizing radiation in the workplace or people exposed in communities as a result of nuclear accidents. Office of Corporate Safety Programs oversees seven programs, including Accident Prevention, Analytical Services, Corrective Action Management, Lab Accreditation, Corporate and HSS Employee Occupational Safety, Fire Protection Reports, and High Reliability Performance. Office of Departmental Personnel Security develops and implements policies for personnel security. Office of Document Reviews handles document declassification, including Freedom of Information Act requests. Office of Resource Management is a key administrative arm of HSS. Office of Headquarters Security Operations is responsible for all DOE facilities in Washington D.C.
Office of Information Security establishes and implements the security program to protect all DOE facilities, personnel, and information from dissident, terrorist, foreign intelligence, and criminal and insider threats. The Office of Health, Safety and Security (HSS) spent nearly $30.5 billion on 120,272 contractor transactions during the past decade, according to USAspending.gov. The top five types of products or services purchased by HSS during that period were drugs and biological ($8,585,236,403), professional services ($1,864,575,797), construction of office buildings ($1,560,686,001), administrative support ($1,192,201,911), and advanced biomedical ($1,080,829,148). Defense contractors, private security firms, and multinational engineering and construction companies have a vested interest in HSS operations. Many of the largest companies in the U.S. are involved with either the daily running of nuclear weapons facilities or their cleanup. For example, between 1996 and 2009, Fluor, an international engineering and construction firm, was heavily involved in the cleanup operations at the former plutonium production facility in Hanford, Washington, one of the original Manhattan Project support sites. Hanford has been described as the most dangerous environmental project in the country, and Fluor’s work had been the subject of controversy (see the “Fluor on the Hook in Whistleblower Suit” controversy). Also performing work at Hanford are construction giants Bechtel, CH2M Hill, and Fluor’s replacement, Mission Support Alliance, LLC, a joint venture of Lockheed Martin, Jacobs Engineering, and Wackenhut. Wackenhut (now G4S Secure Solutions), one of the biggest private security companies in the U.S., provided security guards for the Y-12 Nuclear Weapons Plant in Tennessee under a contract for the National Nuclear Security Administration. During that time, Wackenhut was dinged in a report (pdf) by HSS’s predecessor, the Office of Environment, Safety and Health. The report found that Wackenhut lost 523 days of work to illness or occupational injury, placing it No. 2 out of 254 DOE contracts in largest number of “workdays lost.” In contrast, BWX Technologies (now Babcock & Wilcox, or B&W), the contractor managing Y-12’s National Security Complex, reached a six-million-hour safety milestone without a lost workday injury. Other companies, along with highly respected university systems, help operate the core facilities that today make up the nuclear weapons complex. Lawrence Livermore National Laboratory: One of the premier nuclear weapons labs during the Cold War, Lawrence Livermore was run by the University of California system from its beginning in 1952 until September 2007. Today, UC continues to help run the lab as part of a consortium involving Bechtel, engineering firms Babcock & Wilcox the Washington division of URS, and science and technology company Battelle. Nevada National Security Site: The Nevada National Security Site is a massive outdoor laboratory (larger than the state of Rhode Island) and one of the largest restricted access areas in the United States. Established by the Atomic Energy Commission to serve as the testing ground for both surface and underground nuclear blasts, the site—previously known as the Nevada Test Site—hosted more than four decades of nuclear weapons testing until the nuclear weapons testing moratorium in 1992. It is now used for hazardous chemical spill testing, emergency response training, conventional weapons testing and waste management and environmental technology studies. As of August 2008, management of the site was assumed by National Security Technologies LLC, a joint venture involving defense contractor Northrop Grumman, construction corporation AECOM, CH2M Hill, and Babcock & Wilcox. Naval Reactors Facilities (Idaho) (Pittsburgh) (Schenectady): The Naval Reactors facilities are involved in the research, design, fabrication, construction, testing and operation of nuclear propulsion systems for US Navy ships and submarines. The Idaho naval reactor is run by Battelle, while Pittsburgh and Schenectady are run by Bechtel. Los Alamos National Laboratory: The original home of the Manhattan Project where the first atomic bombs were built, Los Alamos National Laboratory has a long history of providing key research for nuclear weapons programs. It is run by the Los Alamos National Security LLC, consisting of the University of California system, Bechtel, Babcock & Wilcox, and URS Corporation. Sandia National Laboratories: Since 1949, Sandia National Laboratories has conducted research for nuclear weapons programs and other national security-related programs. It is run by a division of Lockheed Martin Company. Pantex: Serving as the nation’s central facility for assembling and dismantling nuclear warheads, Pantex is managed and operated by BWXT Pantex and Sandia National Laboratories, with the backing of Babcock & Wilcox, Honeywell and Bechtel. Kansas City Plant: A high-tech research production facility that historically was charged with providing many of the non-nuclear components for nuclear warheads, the Kansas City Plant is run by defense giant Honeywell. Y-12 National Security Complex: Run by Babcock & Wilcox and Bechtel, Y-12 is one of the original Manhattan Project facilities that produced uranium for warheads. Today, programs at Y-12 include manufacturing, reworking and dismantling nuclear weapons components, and storing special nuclear materials. Savannah River: Once a key supplier of nuclear fuel for warheads, Savannah River still provides nuclear materials for warheads. It is managed and operated by Savannah River Nuclear Solutions, LLC. In addition to contractors, a wide array of public interest and anti-nuclear groups also pay close attention to the work of HSS. These include the Federation of American Scientists, Union of Concerned Scientists, Global Security.org, Center for Defense Information, Concerned Citizens for Nuclear Safety, Project on Government Oversight, Rocky Mountain Peace and Justice Center, Snake River Alliance, Atlanta Women’s Action for New Directions, Natural Resources Defense Council and Physicians for Social Responsibility, to name just a few. Government stakeholders include the NNSA, which has direct oversight of nuclear weapons facilities, the Nuclear Regulatory Commission, Environmental Protection Agency, Department of Homeland Security and the Department of Defense. Owners of a troubled Southern California nuclear power plant blamed uncertainty from regulators for their decision to permanently retire the facility in 2013. The shuttering of the San Onofre nuclear station, out of commission since January 2012 because of a leak found inside a steam generator, brought an end to a battle over nuclear safety that has roiled regulators and legislators for over a year. In October, the utility that owns the plant, Southern California Edison, began asking the Nuclear Regulatory Commission (NRC) to allow it to restart one of its units. The agency was still reviewing the request when the utility threw in the towel. Uncertainty about whether the NRC would allow the station to resume operations, and the potential that it could take regulators another year to make a final determination, led Southern California Edison to close the plant in June 2013. Information posted on the NRC’s Web site detailed how badly decayed parts of the plant were. NRC data detailed how the critical tubes that work to cool off the reactors had decayed at an astonishing rate. A report attributed the deterioration to a faulty computer program that predicted how much friction and vibration the tubes would be subjected to. The alloy tubes, which were expected to show a certain amount of regular wear, were put in place by Southern California Edison in 2010 and 2011 when it installed four new steam generators at a cost of $671 million. The upgrade was paid for with Edison and San Diego Gas & Electric customer rate increases, but was expected to have saved $1 billion over the next decade. The former chairman of the NRC warned in April 2013 that the United States had a serious problem with every one of its nuclear reactors, requiring that they be replaced or shut down. The issue raised by Dr. Gregory B. Jaczko echoed those expressed by anti-nuclear groups. But it was unusual for an ex-NRC chairman to raise such alarm impacting all 104 nuclear reactors in the country. Jaczko said the safety problems couldn’t be fixed, which means either replacing the reactors or closing them down permanently. Indeed, by July four U.S. nuclear plants had been taken offline. While speaking before the Carnegie International Nuclear Policy Conference in Washington, Jaczko admitted it would not be practical to close down all the plants at once. A gradual phase out would instead make sense, he added, saying he does not support extending the life of reactors—many of which already are operating long past their original expiration. Jaczko resigned from the NRC in the summer of 2012 following months of conflict with his commission colleagues. He was often in the minority as he voted for more stringent safety regulations, earning him distrust within the nuclear industry. Officials from the Department of Energy (DOE) and the Pantex nuclear weapons plant in Texas promised in 2013 to make improvements following reports of poor working conditions, cronyism, and workers’ fears of retaliation for reporting safety issues. Those concerns surfaced after the Defense Nuclear Facilities Safety Board, an independent government agency, conducted a hearing in March to consider safety and emergency preparedness at Pantex. from B&W Technical Services to a team led by Bechtel National and Lockheed Martin Services. In addition, the DOE’s Office of Health, Safety and Security (HSS) criticized Pantex in January over its handling of a nuclear explosive component that failed to move during a removal process two years earlier. That problem resulted in workers modifying operating procedures in an attempt to dislodge the stuck component, which led to technicians gouging and removing material beyond the bounds set by safety rules. The top official in charge of the National Nuclear Security Administration (NNSA) retired in January 2013, which came months after a major security scandal prompted several watchdog groups to call for his resignation. 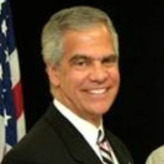 During NNSA Administrator Thomas D’Agostino’s tenure, there were several high-profile embarrassments involving nuclear weapons facilities, including the break-in by an 82-year-old nun and two other peace activists at a bomb-grade uranium storage area of the Y-12 National Security Complex in Tennessee; the duplication and distribution of correct answers to security exams by contract personnel hired to guard Y-12; and a surge in expenses anticipated from updating B-61 nuclear gravity bombs and going back to the drawing board for a uranium processing plant the design of which had already run $500 million. In response to these problems, Republican lawmakers on the House Armed Services Committee called for eliminating the U.S. Department of Energy (DOE) oversight of NNSA operations and increase the independence of private firms working under the NNSA. The GOP blamed DOE management for schedule and budgetary mistakes in NNSA projects, as well as getting in the way of scientists at the nation’s nuclear weapon laboratories. The DOE suffered a cybersecurity breach in January 2013, resulting in the compromise of personal data belonging to several hundred employees and contractors. In an email sent to employees, DOE confirmed that hackers penetrated computers and servers at the agency’s Washington headquarters and stole the personal information of hundreds of employees and contractors. Officials at the Office of Health, Safety and Security, as well as the DOE’s Cybersecurity Team, and Inspector General’s office said they were working with federal law enforcement authorities to investigate the attack’s scope and nature and judge its impact on DOE staff and contractors. One of the largest labor organizations in the U.S. accused Republican lawmakers in 2012 of trying to deregulate worker safety and allow employers self-regulation and self-oversight at nuclear weapons facilities. The AFL-CIO reported that Republicans in the U.S. House wanted to move the responsibility for worker safety at nuclear weapons plants from the HSS to the NNSA, which has no background in handling occupational safety and health matters. Republicans said the change was necessary because of the “onerous” regulations of the Department of Energy (DOE). The proposed legislation would shift the entire safety and health program to the NNSA, and eliminate current DOE worker health and safety standards and enforcement—including fines and other penalties for violations. It would replace them with weaker standards and “performance”-based oversights, according to Mike Hall, writing for the labor union. In addition, the Republican bill would take away protections against employer retaliation when workers report safety concerns as well as their rights to be involved in workplace inspections. The bill also would eliminate requirements that call for employers to record and report injuries and illnesses. In July 2012, three peace activists managed to penetrate the supposedly secure perimeter of the Y-12 National Security Complex nuclear weapons plant in Tennessee, which shocked officials both locally and in Washington D.C. The three demonstrators were convicted in 2013 of sabotaging the plant and damaging federal property. Less than a year after the trespassing, a woman with suspected mental issues, who supposedly mistook the high-security Y-12 campus for an apartment complex, was able to drive into the main entrance and all the way through until someone finally noticed she didn’t belong at the site. The incident prompted the suspension of four security personnel, three security police officers and a supervisor pending the outcome of an investigation. The Y-12 National Security Complex nuclear weapons plant in Tennessee became the focus of controversy again in 2012 after inspectors from the HSS found copies of security quizzes and answers and other inspection-related materials in one of the plant’s patrol cars. The written tests, which had been sent to Oak Ridge in advance by encrypted email, were somehow copied and distributed to help guards pass critical reviews that involve basic security knowledge, proper use of weapons, gas masks, understanding of post duties, and more. An official with HSS confirmed that John Garrity, director of protective force operations for WSI (formerly Wackenhut Services Inc.) at Oak Ridge, was “reassigned” following the incident. He had been in the post only a month, having replaced Gary Brandon, who was the security director at the time of the July 28 security breach by three antinuclear protesters at Y-12. The security inspection that uncovered the cheating was ordered by Secretary of Energy Steven Chu following the July 28 breach. The DOE inspector general, Gregory H. Friedman, reviewed the incident and later said in a report that the test questions were extensively circulated among security officers. “The failure to properly safeguard the test prior to its administration, especially given the intense focus on Y-12 and the security concerns at the site, was, in our opinion, inexplicable and inexcusable,” the report said. WSI lost its contract to guard the site as of early 2013, yet B&W Technical Services (the primary contractor at Y-12) kept on 560 WSI employees. Oddly, it was B&W that had sent the encrypted security test to a WSI manager in the first place. The government contractor hired to clean underground storage tanks at the Hanford Nuclear Site in Washington state admitted to committing fraud in 2013. CH2M Hill Hanford Group Inc. (CHG) admitted that workers padded their time cards for years from 1999-2008, thus defrauding the government. The problem began even before CH2M Hill took over at Hanford. What’s worse is that supervisors knew of the fraud and didn’t stop it. CHG’s parent company, CH2M Hill Companies Ltd., agreed to pay nearly $18.5 million for the wrongdoing, and commit another $500,000 toward improving the subsidiary’s accountability systems. The contractor was paid to manage and clean 177 large underground storage tanks containing mixed radioactive and hazardous waste. Six of those tanks were found to be leaking their contents into the soil, raising concerns about possible contamination of the Columbia River located five miles away. Hanford was the focus of another controversy in summer 2007 when a leak from a tank containing radioactive waste endangered a dozen workers. At least 12 workers claimed the incident made them sick, although DOE officials denied any linkage. The HSS is responsible for making sure worker safety regulations are enforced at Hanford. Both the DOE and CH2M Hill waited seven hours before announcing a radiation spill had occurred. The Washington State Department of Ecology fined the DOE $500,000 for the spill. In February 2013, it was discovered that six of Hanford’s underground storage tanks were leaking radioactive waste. Some of the tanks hold as much as 500,000-750,000 gallons of dangerous fluid that is slowing seeping into the soil. The DOE reported that the tanks are leaking at a rate of up to 300 gallons per year. State and federal officials claim that the leaks don’t pose an immediate threat to human health, since the tanks are located more than five miles from the Columbia River. A report released by the Union of Concerned Scientists (UCS) in 2013 raised serious questions about the safety of the nation’s nuclear power plants. Over a three-year period, 40 of the country’s nuclear reactors suffered one or more near misses. A “near miss” is an event that increases the chance of core meltdown by at least a factor of 10, causing the NRC to send a special inspection team to investigate. Entitled “Tolerating the Intolerable,” the third annual UCS report blamed the NRC for repeatedly failing “to enforce essential safety regulations,” according to study author David Lochbaum, director of the group’s Nuclear Safety Project. Although the report acknowledged the NRC’s programs to prevent the use of bad replacement parts and its emphasis on security, the UCS criticized the agency for lacking a strong “safety culture,” and failing to deal effectively with issues like temporary waste storage, recurring cooling water leaks, and flooding. In response to the accusations, NRC spokesman David McIntyre insisted that the agency was doing its job because “none of the incidents cited by UCS actually affected public health and safety.” The NRC, which was completing its own 2012 report card for the nuclear industry, decided that 99 of the 104 then-operational reactors were in the highest-performance categories, 81 met all safety and security requirements and only 18 needed to resolve one or two low-risk issues. The 14 near misses at 16 reactors detailed in the report that took place in 2012 include an electrical failure that compromised the cooling system and required a manual reactor shutdown at the River Bend Station near St. Francisville, Louisiana (10-mile radius population, based on the 2010 U.S. Census: 23,466); a cooling-water leak that lasted almost a month at the Palisades plant near South Haven, Michigan (population: 28,644); security problems at the Farley plant near Dothan, Alabama (population: 11,842); and an equipment failure that triggered a shutdown at the Byron plant near Rockford, Illinois (population: 25,679). Some facilities, such as the Wolf Creek reactor in Burlington, Kansas (population: 5,466) have reported multiple incidents since 2010, such as an improper repair that impaired the emergency generator four months later. The Department of Homeland Security (DHS) admitted in a 2010 confidential report that the United States was ill prepared to deal with a significant release of radiation. That report, released on the heels of Japan’s Fukushima nuclear crisis in 2011, raised serious concerns about the lack of attention government officials had given to radiation threats, whether it stemmed from a terrorist attack (such as a “dirty bomb”) or a natural disaster impacting a power plant. Compounding the lack of preparation was the fact that the federal government two years earlier ceased stockpiling potassium iodide, the best-known agent to counter radioactive iodine-induced thyroid cancer in young people. In 2013, the Government Accountability Office (GAO) released a report warning that in the event of an accident at a nuclear plant, panicking residents from outside the official evacuation zone around it might jam the roads and prevent others from escaping. The report challenged a three-decade-old fundamental of emergency planning around American nuclear power plants: that preparations for evacuation should focus on people who live within 10 miles of the site. The Defense Nuclear Facilities Safety Board (DNFSB) in 2011 accused the Hanford nuclear reservation in Washington state of having a lax safety culture that deterred timely reporting and resolution of technical concerns. The issue of a weak safety environment was said to be endangering the completion of a $12.2 billion Waste Treatment and Immobilization Plant (WTP) intended to convert 53 million gallons of highly radioactive waste left from decades of plutonium production into glasslike logs for permanent storage underground. The DOE and contractor Bechtel National were accused by the DNFSB of burying technical reports that raised safety issues and creating an atmosphere that discouraged workers from raising technical issues that could affect the safe operation of the facility. The board’s investigation focused on allegations raised by a whistleblower, Dr. Walter Tamosaitis, a contractor employee removed from his position as an engineering manager for URS Corp. at the WTP and was given a basement office without furniture or a phone. The probe did not attempt to assess the validity of Tamosaitis’s retaliation claim, but instead examined whether his allegations of a failed safety culture at the plant might reveal events or practices adversely affecting safety in the design, construction, and operation of the plant. The Energy Department halted construction of some parts of the plant in January 2013 while it tried to deal with the problems. In October 2013, after 44 years with URS and after having supervised some 100 scientists, Tamosaitis was unceremoniously terminated. New York state Attorney General (AG) Eric Schneiderman in 2011 went after Indian Point, one of the nation’s oldest nuclear power plants, arguing that its attempts to avoid fire safety regulations warranted the NRC to take action. “Indian Point is currently in violation of established fire safety regulations and in seeking more than 100 exemptions from those regulations, undermines the efforts to secure the reactors lying within a 50-mile radius of where more than 20 million people live, work and travel,” Schneiderman said in a statement. Indian Point, located only 25 miles north of New York City, had not installed required fire detectors or fire suppression systems in various locations, according to the attorney general. Entergy, the plant owner, also had not reinforced electrical cables to withstand prolonged (one to three hours) exposure to fire. In a test, the cables lasted less than half an hour. The previous AG and now-Governor Andrew Cuomo urged the NRC to close down Indian Point, citing the plant’s proximity to the Ramapo earthquake fault and its discharge of heated water into the Hudson River. In 2013, the NRC was ordered by a three-judge panel to explain why it exempted Indian Point from fire-safety regulations. The NRC had given the plant a pass in 2007 by the NRC to avoid upgrading its systems against the effects of fire. The decision alarmed a former state lawmaker, Richard Brodsky, and three environmental groups, prompting a lawsuit against the NRC. After losing their fight before a U.S. district judge, the plaintiffs took their case to the Second Circuit Court of Appeals, where justices decided the federal government must reveal their reasoning for exempting Indian Point without even holding a public hearing or allowing public comment. By May, Riverkeeper, one of the environmental groups that brought the suit, was calling for the public to submit its comments on the exemptions. Respirators used by workers at the Y-12 nuclear weapons plant in Tennessee were found to be contaminated with radiation early in 2012. The U.S. Department of Energy said about 10% of the plant’s recycled respirators had unacceptable levels of radioactivity. Officials said the same problem was found at two other nuclear facilities. The problem, which was discovered in early February that year, may have gone on for at least three years prior. Later in 2012, Y-12 officials terminated its cleaning service with Global Solutions/UniTech for respirator equipment and decided to purchase disposable respirators for use by nuclear workers. A government contractor agreed in 2013 to pay $1.1 million to settle a lawsuit filed by the U.S. Department of Justice claiming the company used federal money to lobby for new government customers for a first-responder training facility. Fluor Corp. denied it did anything wrong, but said it decided to settle the case to avoid the distraction and cost of litigation. As part of the settlement, $200,000 went to Loydene Rambo, a former contracting official for the Hazardous Materials Management and Emergency Response program, or HAMMER. Rambo filed a whistleblower lawsuit against Fluor in 2011. Fluor operated the 80-acre HAMMER facility for the U.S. Department of Energy from 1996 to 2009. Its main purpose is to provide training for workers involved in radiation cleanup work at the Hanford nuclear reservation. Court documents said consultants were paid $669,000 from 2005 to 2008 to lobby other government agencies to use the facility. The Justice Department said the money was intended only for training, not lobbying. The government may even pursue criminal charges against Fluor employees in the case. An engineer with the NRC accused the agency in 2012 of covering up warnings about nuclear power plants that are vulnerable to flooding, which could result in disasters similar to the Fukushima meltdown in Japan. Richard H. Perkins, a reliability and risk engineer with the NRC’s division of risk analysis, said superiors blacked out critical portions of an earlier report he helped author that detailed which nuclear plants faced the risk of flooding from swollen rivers or reservoirs or dams failing upstream of the plants. Perkins’ assertions were backed up by another, anonymous NRC risk engineer who warned that the three reactors at the Oconee Nuclear Station near Seneca, South Carolina, could face a Fukushima-like episode should a nearby dam fail and knock out the plants’ cooling system. Both engineers suggested that the NRC was inclined to keep the information about vulnerable plants a secret from the public and not let on how much the agency knew about the dangers. Some 34 worrisome reactors sit downstream of about 50 dams. Plants located near significant waterways included the Ft. Calhoun Station in Nebraska, the Prairie Island Nuclear Generation Plant in Red Wing, Minnesota, and the Watts Bar Nuclear Plant in east Tennessee. Underscoring the problem in 2012, Hurricane Sandy caused a storm surge of more than 7 feet at the Oyster Creek Generating Station near Barnegat Bay, New Jersey. That led to an alert at the plant. Another 2 feet, and the pump motors would have begun flooding. And Sandy was only a Category 1 hurricane. Mark W. Hicks sued his former employer in 2012 claiming he was fired for following federal safety procedures that mandated a Florida nuclear power plant reactor be shut down to avoid catastrophe. Hicks, who worked as operations manager at the St. Lucie power plant, said in his lawsuit that Florida Power & Light (FPL) terminated his employment after he discovered a leak in the plant’s coolant system that could have led to a meltdown. On November 21, 2009, Hicks and others noticed that a safety relief valve had lifted, causing a leakage of coolant. Following federal regulations, he says he ordered the reactor shut down to avoid an accident similar to the 1979 Three Mile Island incident in Middletown, Pennsylvania. Hicks reported what he had done to his superiors, including FPL executive vice president Manoochehr Nazar, who ordered Hicks to restart the reactor. Hicks refused. He was put on probation, his performance rating was reduced, his pay was cut, and he was eventually fired. He sought back pay, lost benefits, and other compensatory damages. According to the lawsuit, it was later determined that various repairs did have to be made, costing FPL $6 million. The plaintiff claimed the utility, in order to save money, hadn’t wanted to power down the reactor to make those fixes. The NNSA was criticized in 2011 by another wing of the government for shortcomings in how the administration protects the nation’s nuclear weapons facilities. The Senate Appropriations Committee requested the report in 2008 to address ballooning security costs at NNSA, which grew from $550 million to more than $900 million over a span of eight years. The NRC report echoed criticisms from others outside of NNSA who had said serious communication and information issues continued to hinder the agency’s ability to manage projects and fulfill its mission. The Project on Government Oversight had already criticized the NNSA for partnering with the HSS contending that stronger security would require that the two agencies be more independent from each other—acting as watchdogs, not partners. Safety and security problems surfaced at the Idaho National Laboratory (INL) in recent years as a result of concerns voiced by the DOE and by nongovernment groups. In 2012, a DOE team of inspectors discovered numerous “weaknesses” in the INL team responsible for protecting special nuclear material. Shortcomings in INL’s Tactical Response Force included problems with equipment, coordination, and communication. The security team’s vehicles lacked sirens or public address systems, security markings and proper warning lights. Inspectors also cited a lack of coordination with law enforcement agencies. Three years earlier, DOE’s Office of Independent Oversight and Performance Assurance raised concerns with the design conditions at the Advanced Test Reactor (ATR) at the INL. Also, Keep Yellowstone Nuclear Free and the Environmental Defense Institute filed a formal petition in 2010 with the Defense Nuclear Facilities Safety Board to perform a complete safety review of the ATR, which is one of the most complex reactor designs, requiring at least a dozen emergency shutdowns between 2000 and 2008. The DOE announced in March 2010 that it was planning to streamline oversight of safety and security procedures at its national laboratories. Lab directors welcomed the news, claiming the current oversight system—which the HSS manages—was too onerous. A DOE memo discussed how it wanted “near-term relief from specific low-value burdensome requirements,” and at least a 50% reduction in safety and security directives from HSS. Government watchdog groups raised objections to the proposed change. The Project On Government Oversight (POGO), a Washington D.C. nonprofit, said oversight should be strengthened, not streamlined. The Lawrence Livermore National Laboratory in California became a major embarrassment for the Department of Energy in 2008 when its security guards performed poorly during a simulated attack on the top-secret facility. A commando team posing as terrorists attacked and infiltrated the lab’s perimeter and defenses, and was able to get to their “objective,” comprising a payload of simulated fissile material. At the core of Livermore is the “Superblock,” a collection of buildings heavily protected to secure the lab’s store of 2,000 pounds of plutonium and weapons-grade uranium—enough fissile material that could be used to build at least 300 nuclear weapons. The exercise reportedly exposed many major security inadequacies at Livermore, including the failure of a hydraulic system essential to shooting one of the high-powered Gatling machine guns that protect the facility. After the 9/11 attacks, DOE changed what it calls its “design basis threat”—how the department prepares for a potential terrorist attack against the nation’s nuclear weapons facilities. In 2003, 2005, and 2006, Energy officials kept revising the design basis threat to better prepare for attacks. By July 2006, the DOE had spent more than $420 million during the previous three years in an “aggressive” attempt to toughen security by giving security officers armored vehicles and large-caliber weapons. That same year the DOE promised Congress that six of its 11 nuclear weapons sites would have upgraded security by 2008. By fall 2007, the DOE was nowhere near meeting this deadline, according to a report by the GAO. Five of the six sites were still far from being ready to withstand a terrorist attack as defined by the design basis threat. The DOE said it had put off work because of plans to consolidate plutonium at many of the sites into centralized locations. The HSS, which shares security responsibilities for the sites with the NNSA, said it would continue to make enhancements at the facilities. Representative Edward J. Markey (D-Massachusetts) blasted the DOE for falling behind in its security preparations. “The department seems to think that the terrorist threat to its nuclear facilities is no more serious than a Halloween prank, as evidenced by its failure—more than six years after the 9/11 attacks—to do what it must to keep our stores of nuclear-weapons-grade materials secure,” Markey said in a statement. In September 2006 the HSS presented Fluor with a national safety award for its work at Hanford, even though the company was found guilty on numerous occasions of punishing whistleblowers who had tried to point out safety problems at the former nuclear weapons facility. Just one month before, a federal labor judge ordered Fluor to reinstate terminated whistleblower Richard Cecil, pay him lost salary and attorney fees and post a notice of its infraction throughout the Hanford Site. Cecil was a millwright at Hanford when he raised nuclear safety concerns associated with the removal of highly radioactive spent reactor fuel. In July 2006 Fluor paid $415,000 as part of a settlement involving another whistleblower, electrician Maurice Rosen, who had disclosed the dumping of liquids contaminated with hexavalent chromium into the ground around H-Area of the Hanford Site. Fluor’s whistleblowing episodes have not let up. In 2013, the Department of Justice ordered the company to pay $1.1 million to settle a whistleblower lawsuit that alleged the firm had improperly using federal funds for lobbying, which is in violation of the False Claims Act. In August 2007 the Government Accountability Project (GAP) complained to DOE officials about environmental and worker safety problems being committed by contractors at Hanford. The complaints centered on Washington Closure Hanford (WCH), a limited liability corporation owned by Washington Group International (now URS), Bechtel and CH2M Hill, which is under contract to demolish hundreds of old facilities, clean up waste storage sites and temporarily store plutonium production reactors. In an 18-page letter to DOE, GAP accused WCH of “ongoing safety and environmental violations, retaliatory work environments and failure to oversee subcontractors.” GAP cited instances where workers and the environment were exposed to dangerous contaminants and federal safety regulations were not followed. In response, DOE wrote a letter (pdf) saying WCH had addressed the concerns cited by GAP. DOE also refused to launch an independent investigation into the violations, as requested by the watchdog organization. The Hanford Advisory Board (HAB), which provides guidance to the U.S. Department of Energy (DOE), offered numerous suggestions and reforms in 2012 regarding the Waste Treatment and Immobilization Plant (WTP) at the Hanford nuclear reservation in Washington state, located near the Columbia River. In response to the board’s advice, the DOE’s Office of River Protection (ORP) penned a lengthy letter detailing its positions on 13 changes recommended. It stated that the DOE was firmly behind having a “healthy safety culture” at the WTP while the government works to clean up Hanford’s storage-tank waste. On another point, the HAB advised DOE to have “an independent and authoritative entity to drive nuclear safety as the overriding priority at the WTP.” The board said the Defense Nuclear Facilities Safety Board (DNFSB) could serve this function. The ORP responded by saying it benefits from “several technical oversight entities, in addition to its own comprehensive nuclear safety efforts, both locally and from headquarters staff.” It acknowledged the DNFSB, while pointing out it also listens to many DOE offices, including the HSS, plus the Government Accountability Office and the State of Washington Department of Ecology. The Washington Department of Ecology said in 2013 that despite the advice and the promises of action, there is still a lot of work to be done before cleanup of the site will be ready to transition to long-term stewardship. Budget problems created concerns for the cleanup effort, as did shenanigans at the site, including contractors using parade permits to move radioactive waste, such as plutonium, over public roads. The DNFSB in 2012 offered several recommendations regarding safety and security at the nation’s nuclear weapons plants. As part of a report to the Secretary of Energy, which was conveyed to Congress in 2013, the DNFSB addressed concerns at the Savannah River Site in South Carolina, among other locations. It noted how one of the buildings (235) was no longer in use, but still was contaminated with plutonium 238 powder. The board said the DOE should act to remove the radioactive substance. The DNFSB also addressed a serious problem at the Hanford plant in Washington state. There, nearly a dozen tanks used to house toxic wastes were found to “have enough flammable gas retained in the waste that, if released in the tank headspace, could create a flammable atmosphere.” The board recommended that DOE take action regarding the ventilation system attached to the tanks, presumably before an accident takes place. The Government Accountability Office weighed in on the DOE’s safety reform efforts, saying that cutting its directives nearly in half (from 80 to 42) because many were duplicative or unclear, wasn’t necessarily helpful. Quality assurance problems still existed, contractors weren’t implementing safety requirements rigorously, and the way federal oversight was being handled raised concerns about the ability to stay ahead of safety problems. Following an embarrassing episode at one of the nation’s leading nuclear weapons facilities, the federal government ordered changes in security services at the plant in question. The main contractor in charge of the Y-12 National Security Complex in Tennessee, Babcock & Wilcox Technical Services, announced in October 2012 that it was severing ties with WSI-Oak Ridge, a division of G4S Government Solutions that provided guards for the plant. The move followed a July break-in by peace activists that revealed a number of security lapses at the Tennessee complex. Members of the antinuclear group Transform Now Plowshares had infiltrated the site’s “protected area,” which includes a facility holding large quantities of weapon-grade uranium. The episode outraged lawmakers in Washington D.C., who held hearings to discuss what went wrong and what changes should be made to the U.S. Department of Energy’s oversight of the nuclear weapons complex. Following the March 2011 Fukushima Daiichi nuclear plant accident in Japan, the U.S. DOE established several initiatives to investigate the safety of its nuclear facilities relative to what officials called BDBEs (“beyond design basis events,” which would include natural phenomena such as earthquakes and tsunamis and man-made disasters). These initiatives resulted in issuing a safety bulletin (2011-01) as well as conducting pilot studies to refine possible process improvements and conducting two nuclear safety workshops in the hopes of developing emergency management plans that could be called into action in cases of “severe” disasters, like Fukushima. All DOE offices, in coordination with government contractors, would evaluate their site emergency management programs’ response to severe accidents/events (including BDBEs) that could have a site-wide impact. Program offices would instruct contractors responsible for certain nuclear facilities to conduct “an evaluation” using DOE guidance in conjunction with the annual update of their Documented Safety Analyses that will be required in 2015. Energy Secretary Steven Chu unveiled a reform plan in 2010 that he claimed would bolster productivity by streamlining DOE requirements and give contractors the flexibility to tailor their own programs without “excessive” oversight and reviews from federal regulators. While insisting that DOE “takes safety and security very, very seriously,” Chu told the Knoxville News Sentinel that less is sometimes better than more to create efficiency. Government watchdogs, like the Project on Government Oversight (POGO), objected strongly to Chu’s plan. “This confirms our worst fears. Without adult supervision, we can be sure the Labs will be even less serious about safety and security,” POGO Executive Director Danielle Brian wrote in an email to Frank Munger at the Knoxville News Sentinel. In the summer of 2010, the HSS partnered with the National Academy of Public Administration to ask union workers how to improve worker safety at DOE sites. Based on the results of this dialogue, experts convened by the National Academy identified several themes that emerged from workers’ suggestions and offered recommendations for HSS to consider. Workers said, among other things, that in-person training was more effective for them than computer-based training. They also favored the use of worker-trainers to conduct training because they saw them as people who had first-hand experience as well as credible sources of information. In addition, participants largely supported joint labor-management design and participation in training programs, and they favored greater centralization and standardization of worker’s safety training records to facilitate worker mobility or transferring among sites as a means of avoiding redundant training classes. The participants also asked the HSS to further investigate several health and safety issues and claims discussed by workers as well as assess the current state of reporting processes in DOE to determine if changes were necessary. In addition, many “knowledge gaps” among workers were revealed regarding the substance of worker health and safety regulations, which was viewed as an opportunity for HSS to consider expanding efforts to educate workers about these regulations. The head of the HSS told lawmakers in 2009 that the office would implement a number of reforms during 2010 and beyond in order to better execute its mission and objectives. Ensure rigorous oversight of specified departmental operations, such as nuclear facilities and nanotechnology research, through increased programmatic assistance, independent oversight, and enforcement presence at those facilities. Honor the national and departmental commitment to current and former workers through cost-effective implementation of the Former Worker Medical Screening Program (which offers free screening services to past employees who may have been exposed to radiation, beryllium, asbestos, and more). Enhance the protection of national security assets entrusted to the department through cost-effective security solutions that are consistent with successful mission accomplishment. Continue an approach of openness and collaboration with management, workers, unions, and other interested parties to address complex health, safety, and security issues. how do i get in touch with the department of energy respiratory acceptance program referenced in doe-std-1167-2003; the doe respiratory acceptance program for supplied-air suits? don't waste the tax payer's money as you know there is no way to clean up the nuclear waste at hanford nuclear base in washington. it didn't bother you when hanford released toxic nuclear clouds on my mother and i when i was born in 1953 near othello, washington. my father also worked for hanford at that time, however they forgot to pay me as a guinea pig employee for their secret nuclear tests on the people of that area. maybe their chickens are coming home to roost. i was born just outside of othello, washington in 1953. our government failed to protect my mother and i as many toxic nuclear clouds were released at that time from hanford nuclear base. i would like for this injustice to be made right with me as i was born with mutations,and disabilities. i am still waiting on the government. Glenn Podonsky has led the Office of Health, Safety and Security since its creation in 2006. Podonsky has a knack for taking over new DOE offices that are the product of other energy offices merging together. He was director of the Office of Independent Oversight and Performance Assurance (OA) when it was merged with the Office of Security in 2004, creating the Office of Security and Safety Performance Assurance (SSA). Podonsky directed the newly formed SSA until was combined with the Office of Environment, Safety and Health in 2006, creating the Office of Health, Safety and Security. The son of a security specialist, Podonsky’s background is in intelligence and security work. On Ohio State University’s Program for International and Homeland Security web page, a 2003 Congressional Quarterly report was cited about a security lapse at the Lawrence Livermore National Laboratory (LLNL). In the citation Podonsky was identified as a “veteran intelligence specialist” who led an investigative team of National Nuclear Security Administration officials looking into the loss of security keys and access cards at LLNL. In 1994, Podonsky was in charge of records retrieval in the search for material relating to dubious radiation experiments conducted during the 1940s. While head of OA, Podonsky oversaw the creation of DOE’s elite commando unit, the Composite Adversary Team (CAT). Described as the “cream-of-the-crop of DOE’s security guards,” CAT was charged with protecting the nation’s nuclear weapons facilities. The unit took the place of military special operations forces, such as Army Rangers, Navy SEALs and Delta Force, that used to be responsible for responding to an attack on highly-sensitive DOE sites.